Our liquid hand wash is suitable for vegans. Dermatologically tested to be mild on the skin - the perfect liquid hand wash! 100% recyclable packaging. A liquid hand wash which is 100% soap free. 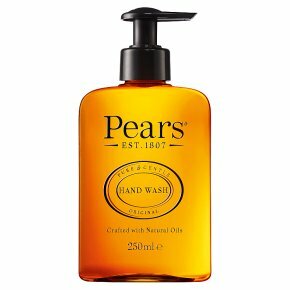 Iconic fragrance of Pears made with natural oils in a liquid hand wash. Over 200 years of soap making expertise. Avoid contact with eyes. Do not use on inflamed or broken skin.<br><br>For External Use Only.